Russia’s Plesetsk Cosmodrome is getting ready for the April 25th evening launch of the Sentinel-3B satellite, which is a part of a series of satellites under the umbrella of the EU’s Copernicus environment-monitoring program. Carrying a suite of cutting-edge instruments, Sentinel-3 is the most complex of all the Sentinel missions – offering a bigger picture for Copernicus. Completing the constellation of the first set of Sentinel missions, the launch of Sentinel-3B marks an important milestone for Europe’s Copernicus program led by the European Commission. With a focus on oceans, Sentinel-3 measures the temperature, color and height of the sea surface as well as the thickness of sea ice. These measurements are used, for example, to monitor changes in sea level, marine pollution and biological productivity. The mission is the result of close collaboration between ESA, the European Commission, EUMETSAT, France’s CNES space agency, industry, service providers and data users. The satellites were designed and built by a consortium of approximately 100 companies under the leadership of Thales Alenia Space, France. 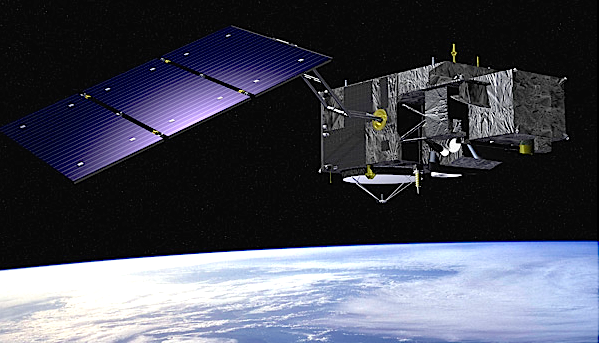 An agreement with the EU and ESA maintains that EUMETSAT controls the Sentinel-3 satellites from its Darmstadt headquarters and processes and disseminates marine-related data from its instruments, while ESA disseminates the land data. ESA TV will broadcast the launch live on the ESA website, together with expert commentary.